Your smartphone is now waterproof! Welcome to your shop for waterproof camera and mobile phone cases for almost all available digital cameras/mobile phones. 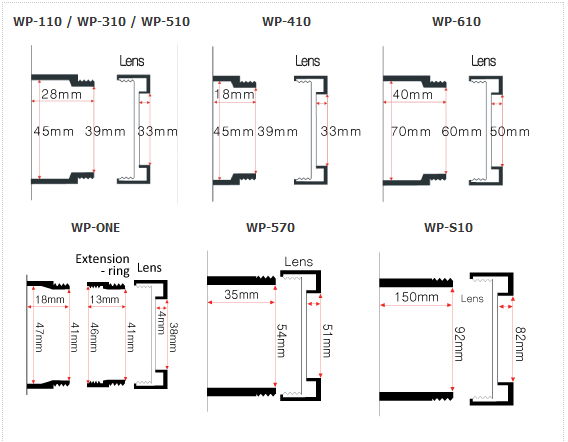 Start Waterproofing Your Digital Camera Today! Have you met DiCAPac on the MWC 2018 in Barcelona or Cebit 2018 in Hanover and you want to order one? 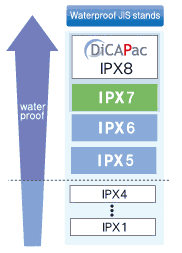 Dicapac offers a variety of waterproof cases that fit almost all models of cameras, mobile phones and other items. Cases for Cameras with large or small zoom lens, inner body zoom lens, DSLR cameras and many other devices. Use the Case Finder tool to find the compatible DiCAPac for your camera model. Or use the screen size to find the right DiCAPac waterproof pouch for your mobile phone or tablet. Please feel free to contact us for assistance to find the right case for you! This product and/or service is not affiliated with, endorsed by or in any way associated with GoPro® Inc. or its products and services. GoPro®, HERO, Session, Karma and their respective logos are trademarks or registered trademarks of GoPro®, Inc.
DiCAPac WP-C2 waterproof Phone Bag for 5.7in screens max. (14,4cm) - new design - e.g. for Samsung Galaxy J7 Prime, Xiaomi Redmi Note 4 etc.